Our Yarrow Essential Oil (Achillea millefolium) is a Chamazulene Chemotype with a rich, blue color and penetrating aroma. This is the preferred chemotype for aromatherapy. Yarrow is an herb of great antiquity, considered sacred in many traditions and used around the world. This exquisite Yarrow Essential Oil is part of our Artisan Quality line of essential oils. Yarrow Essential Oil is also known as Milfoil Essential Oil. Yarrow (Achillea millefolium) is an aromatic, rhizomatous perennial herb with one to several stems reaching up to about three feet in height. The leaves are very finely dissected, with a feathery, lacy appearance giving rise to the plant’s folk name “thousand leaf”. The plants bear dense, generally white and occasionally pinkish white composite flower heads. 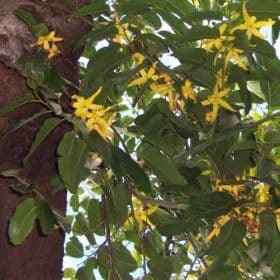 Depending on location, flowering generally occurs between May and September and as the flowers rise and bloom, the leaves shrink back and become small. Many cultivars of A. millefolium have larger and more colorful flowers and are grown as garden ornamentals but don’t have the medicinal potency of the original plant. Note: All information on this page, above and below, is provided for educational interest only. Nothing here is intended to make claims for our product “Yarrow Essential Oil”. Your experiences with an essential oil may differ from any one else’s experiences. No information provided here is intended to be used for the diagnosis or treatment of any physical or mental illness. Please pay attention to the safety information provided below in order to insure that your experiences with this product are good ones. Yarrow Essential Oil is produced by steam distillation of the dried, flowering herb. 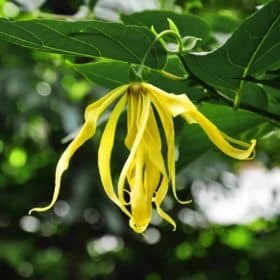 It contains a constituent known as chamazulene, which has been reported to reduce inflammation and which imparts a blue color to the essential oil. The aroma is penetrating and herbal. In the practice of aromatherapy, Yarrow Essential Oil has been used for it’s claimed ability to support those experiencing a wide variety of complaints, including colds, digestive upsets and nervous exhaustion. Yarrow Essential Oil is powerful and is best used in small amounts. Used sparingly, it is appropriate for both diffusion and topical applications. For diffusion as a single essential oil, we feel that it is best used for therapeutic steam inhalations (one drop is all you need). For room diffusion, use a very small amount as part of a blend of essential oils. For topical application, we recommend using a maximum concentration of 2% Yarrow Essential Oil diluted in vegetable oil (such as Sweet Almond Oil). To use Yarrow in a warm bath, add 1 or 2 drops to a tablespoon of whole milk or cream then add this mixture to the bath; gently swirl the bath water around with your foot to disperse the mixture before immersing your body in the tub; avoid getting the bath water in your eyes. Yarrow may be inappropriate for use by any route if you are taking certain types of medications: see Safety Considerations below. Yarrow is an herb with an ancient and rich history. Fossilized yarrow pollen has been found in a Neanderthal burial that is 60,000 years old. The English word “yarrow” is derived from the old Anglo-Saxon word “gearwe”, which means “to make healthy”. It was a sacred herb to the old Germanic peoples and was dedicated to the Goddess Freya. The Greeks considered it an herb of Aphrodite (Venus). 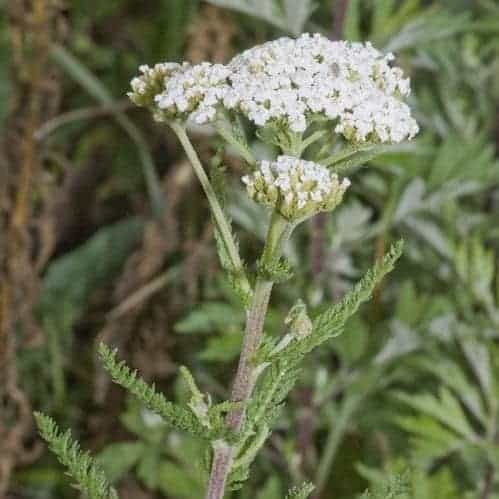 Yarrow herb is known to have been one of the nine sacred healing herbs of the ancient Celts and was gathered at the August festival of Lughnasa, where it was used in offerings to the Goddess and also saved for medicinal use later in the year. Maude Grieve wrote of its on-going use in the Highlands of Scotland, where it had long been used as a wound ointment, and in the Orkney Islands for dispelling melancholy. 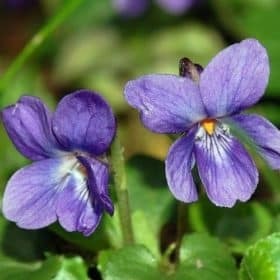 She noted also that it was one of the herbs “dedicated to the Evil One” in earlier days and having the folk names of Devil’s Nettle, Devil’s Plaything, and Bad Man’s Plaything. Yarrow also has a long and extensive history of use as an herb among Native American and Native Canadian groups, having been used by literally dozens of tribes across the continent, often as a cold remedy, analgesic, febrifuge, antirheumatic, to stop bleeding, and as a digestive/gastrointestinal aid. 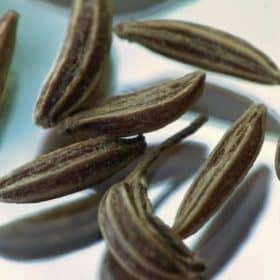 The Cherokee used it to stop bleeding, including menorrhagia and internal bleeding; as a febrifuge; and as a sedative infusion for restful sleep. Among the Iroquois, it was highly regarded as a “blood purifier” and the Lakota applied chewed dried leaves to wounds. 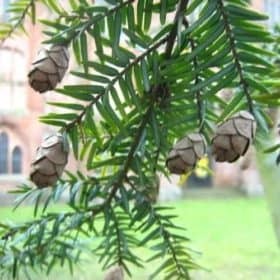 In truth, it was widely regarded as practically a panacea that might be used in the treatment of almost any illness. Follow general safety guidelines for use of essential oils, as noted below. According to Tisserand and Young, Yarrow Essential Oil (Chamazulene Chemotype) is slightly neurotoxic, which is why we recommend it for occasional use in small amounts. Some authors recommend that Yarrow Essential Oil should be avoided by pregnant women and nursing mothers. Used externally (on the skin or by diffusion) Yarrow Essential Oil can interact with drugs that are metabolized by CYP2D6 liver enzymes and should be avoided by those taking any drug of this class, according to Tisserand and Young. This includes a considerable number of drugs of various types so if you are taking prescription or over-the counter medications check with your pharmacist before using Yarrow Essential Oil. 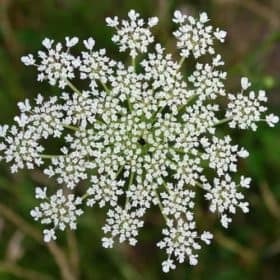 While we feel that essential oils should not be used internally except under medical supervision, the potential for drug interactions is greatly increased if Yarrow is used internally and also includes drugs metabolized by other liver enzymes.